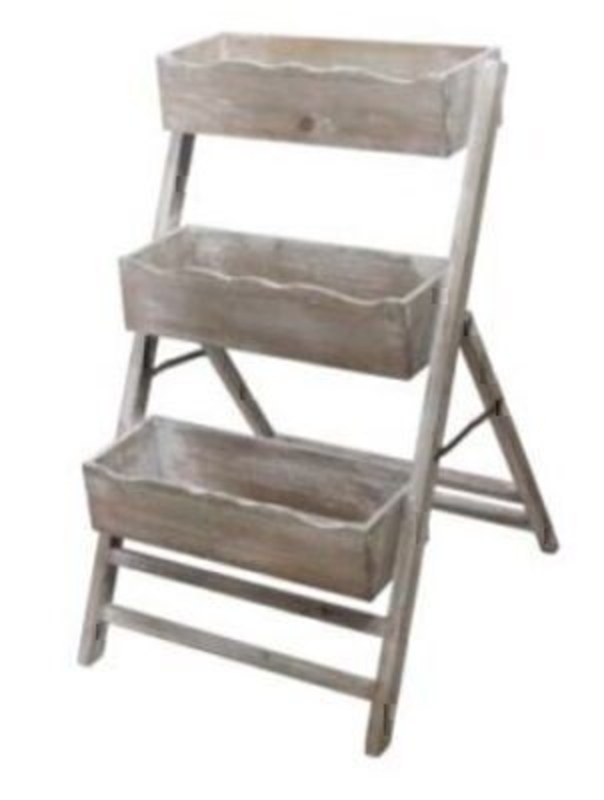 This Three Wooden Troughs on a Stand by designer Gisela Graham is perfect for gardening in compact spaces like balconies and patios or small gardens. The 3 troughs are arranged vertically making this a compact sized planter. Dimensions: (LxWxD) 73x44x53cm. Made of wood in a shabby chic effect. Ideal for compact gardening spaces.